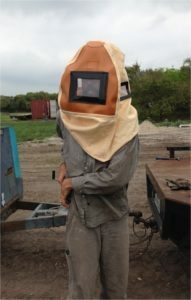 Texas Blaster began in the West Texas oil fields in 1963 when a portable blaster was needed to clean heavy oil field equipment. At the time, there was nothing available for purchase that would do what was wanted. So we built it. As the years came and went, modifications were made but it is basically still the same blaster – only tougher, stronger, and much more capable than the original model of 1963. For 38 years, blasters were sold over the phone and shipped via LTL Freight to resellers. As of 2005, Texas Blasters are now sold only over the internet and shipped via FedEx Ground straight to the customer’s door. This simple transition allowed Texas Blaster to offer our product nationwide at a lower cost to our customers. Texas Blaster is a third generation, family-owned business that takes pride in the product we build and the service we offer. For fifty plus years, we have provided the best value in a quality blaster. 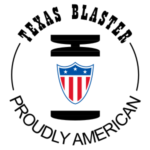 Texas Blaster is proud to stand behind its product. 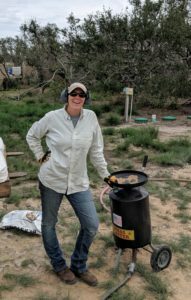 We know how well our product works and how to use it because we use the Texas Blaster units ourselves.